Can proprioception influence gait abnormalities in Parkinson’s disease? Fasting fiction: is intermittent fasting superior to conventional dieting? Peer Reviewers: David Seligman, Alison Hunt, Bunmi Adesanya, Deena Shah, Claire Gallibois, Tessa Weinberg, Sakshi Kirpalaney, Sherry Esfandia, Alexandra Mitcham, Aidan McKee, Alexandr Magder, Hannah Suchy, Donal Roche, Hannah O’Neill, Carol Rizkalla, Jeremy Lau, Alexa Higginbotham, Ananya Pentaparthy, Samantha Tso. 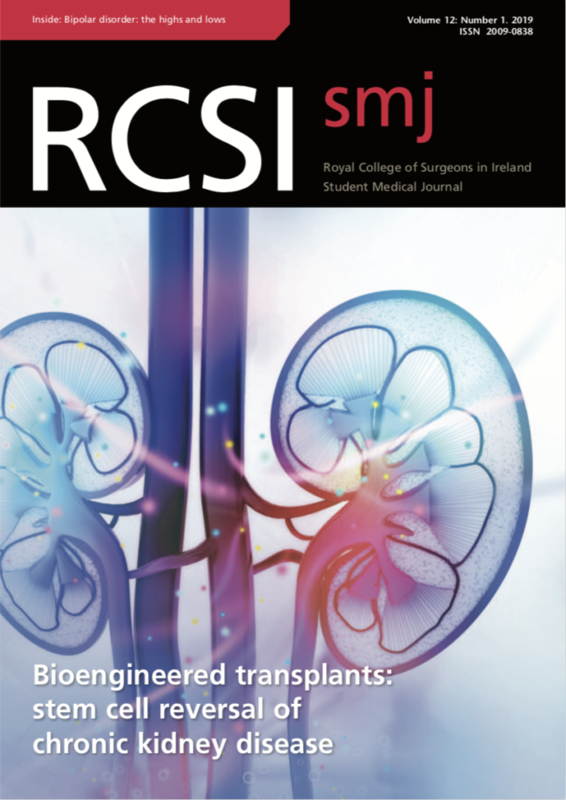 Thank you to the RCSI Alumni for their continued support of us as students – providing career advice, acting as mentors, enabling electives and research, and supporting the publication of the RCSIsmj since its inception in 2008. As today’s generation of students and tomorrow’s generation of alumni, we are very grateful for this ongoing support. A warm and special thanks to Prof. David Smith for the time and encouragement he has given to the RCSIsmj Ethics Challenge, and for his support of the annual debate.